Hello Friends; Last week, the Standard-Examiner posted a revised/redacted version of an article we submitted. Here’s the original. As always, we welcome your input/feedback.comments. TITLE: Ogden’s Art Scene and you… what’s missing? I began my first column with the admission that I am an artaholic. And while this is true, I don’t want to give the impression I’m trying to kick that particular habit. In fact, it’s very much the opposite. Like all of my colleagues on the Ogden City Arts Advisory Committee, I work daily to bring MORE art and culture into our daily lives. In prior columns, Jake McIntire mentioned both the Arts Master Plan and the proposed Creative District. I mentioned Ogden First’s PLATFORMS, just one of four major initiatives we have planned (Look for PANES and WALLS to debut this summer and fall, respectively). Why are we all working so hard at this? What’s in it for *you*? All of these efforts are designed to not just ‘beautify’ the city, but to foster creativity and Quality of Life. But what does that mean? Why is it important? Research has shown that artful surroundings make us happier and more creative. Hospitals know that incorporating art into their environments yields generally better health outcomes. In fact, in the U.K., they’ve determined that the positive health outcome from a museum visit roughly equals a $1500 reduction in healthcare costs. Per person, per visit. Think about that. Other research has shown that expanded art & cultural offerings lead to an increased sense of community, better understanding of other cultures, lower crime and greater economic growth. We’ve got some great things already in place. Who doesn’t love the Pioneer Days horses? They’re fun, colorful and make us smile. Many record Ogden’s rich and varied history, others celebrate its people. As both visitors and artists have affirmed, the PLATFORMS art site (at 25th and Adams) is a hit. Or how about NurturetheCreativeMind’s annual street pianos project? Amphitheatre programming like Ogden Twilight and Good Company Theatre’s plays? How neat was the yarnbombing project? All these things have been done for you. But we want your input, ideas, and energy. In the comments section, or via email, tell us what YOU would like to do. What have you seen or done in your travels that you’d like to recreate in Ogden? For example: at a recent Creative District input meeting, someone mentioned hosting dance parties outdoors downtown. 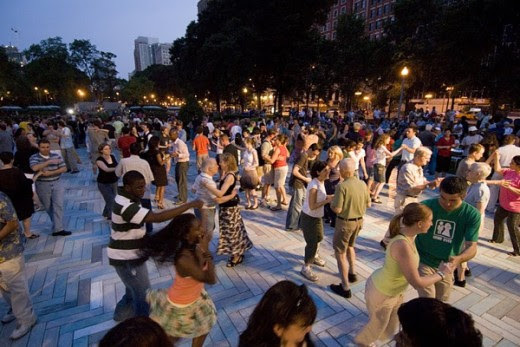 Chicago hosts such a program, called SummerDance, at various parks throughout the city, and it’s immensely popular. If you could come down and tango with a neighbor (afterall, it *does* take two to tango) some summer evening, would you? Would you come to learn? Perhaps to teach? How about a plein air painters meetup? Not just for an annual competition, but to (re)connect with other creative souls? The coming MOMENTS fest (a booster to the May 5 Art Stroll) is a laboratory of sorts for the idea of immersive creative environments, and will include light, music, dance, poetry, live painting and chalk-drawing, sound art, and temporary installations. 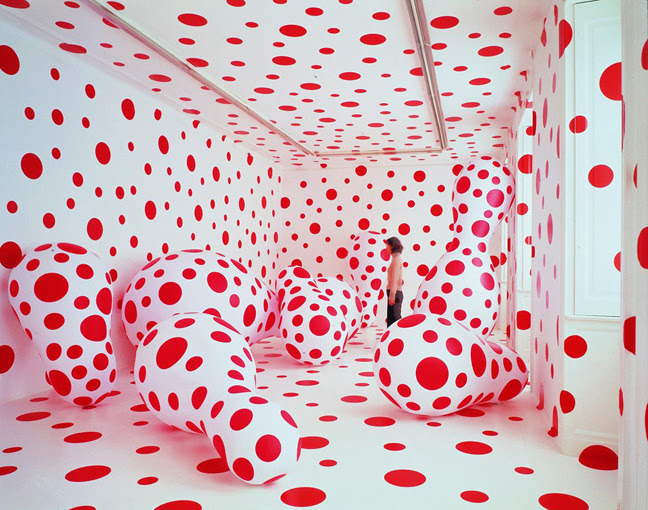 In fact, we’re so inspired by Japanese artist Yayoi Kusama, (who, by the way, is 88 and just hitting her stride) that we’re inviting *everyone* to come help create what we expect will be Ogden’s largest community-art installation ever. ​From 5pm to 9pm on May 5, we challenge you ALL to bring paper polka dots, in any size or color, to 25th and Washington- and help create something magical, hopefully even record-worthy. A city is more than streets, buildings and garbage collection. A city exists to serve a community – that’s all of you. And THIS City, Ogden, is a good measure better, safer, and more fun than it was a decade ago. What it’s missing is you. So please, put down the tablet and join us downtown.